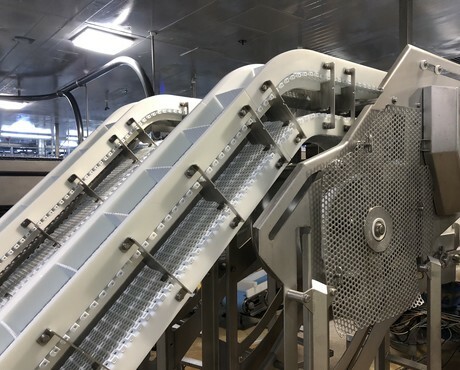 Optibelt has solved a long-running problem for a New Zealand poultry processing company located in Auckland, with the introduction of its Omega HP drive belts to a major poultry grader within the plant. Operating in a cold and humid environment, the grader is driven by a rubber 600 5M 25 HTD timing belt, operating 16 hours a day, five days a week. The constant load on the machine had caused the timing belt teeth to shear after just two weeks in operation resulting in severe disruption to production and maintenance downtime. The Optibelt Omega HP 600 5MHP 25 belts are claimed to transmit up to three times the power over the standard belt along with good wear characteristics. The new belts at the plant now last in excess of four months before replacements are necessary on a preventive maintenance program, eliminating further disruption to production and costly downtime. According to Optibelt, the Omega tooth profile also results in a significant reduction in the noise level as the polychloroprene material teeth on the belt are moderately resistant to humidity and are formed to ensure they match perfectly with minimal friction into the pulley teeth.